Good news! Cartoonist extraordinaire Dale Martin has a new comic book out and about! 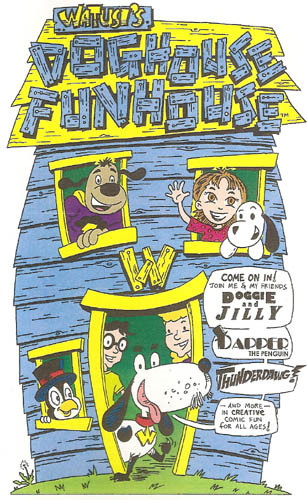 Watusi’s Funhouse Doghouse is an all-ages anthology starring my favorite talking dog, Watusi, and featuring some comic goodness from a great roster of small press cartoonists (Including yours truly!) It’s a fun book that you should BUY! And, if you want to see more Watusi, check out his new online adventures! Also check out my newest creation, The American Stream, at The July 4th Project! Thanks, Chris Duffy!